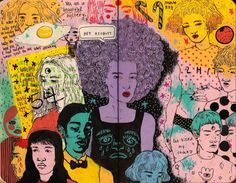 I’ve said it before and I’ll say it again, your art is not bolted to your walls and your pictures are not glued to your shelves. That being the case why not switch things up periodically with a little seasonal home decorating. You do it at Christmas and probably Halloween, why not Valentine’s Day. In years past I have just stuck a few vintage Valentine Cards around in strategic places, but this year I’m thinking of taking it to the next level. 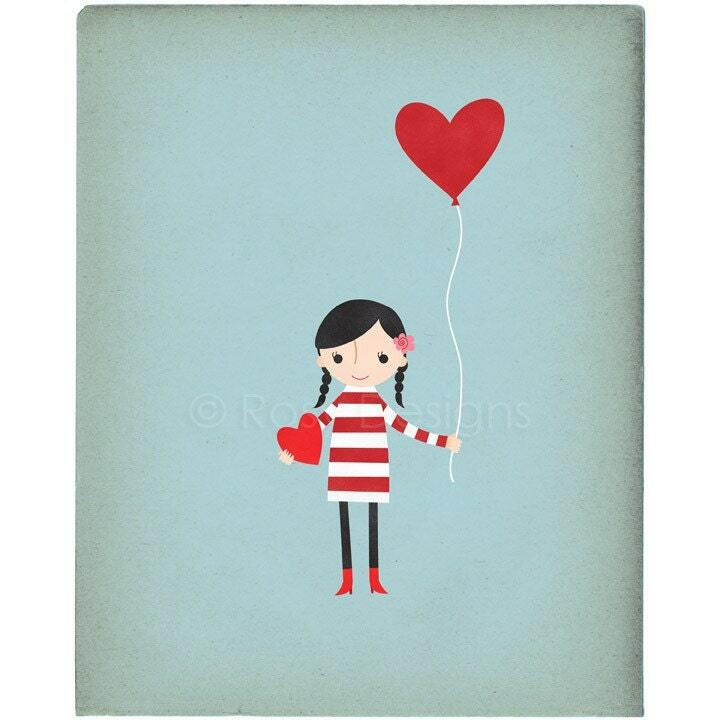 Today is Part 1 in a 2 part series perusing for the perfect Valentine’s Day Print. 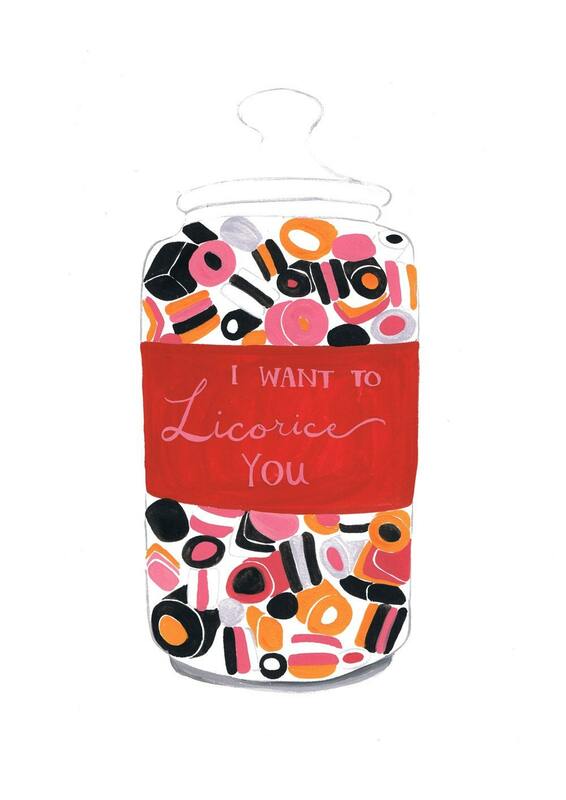 I hate licorice, but I adore I Want to Licorice You by Berin Made. I’m not so into the whole zombie thing, but I love the Zombie Leg Love Print by Burnt Feather. It would go perfectly with my Bleeding Knees Club Print by Pepperminte. 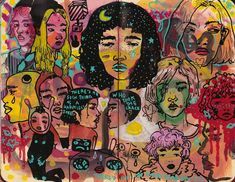 Love Angel by Happy Doodle Land could almost also double as a Christmas Print and I like more bang for my art collecting buck. 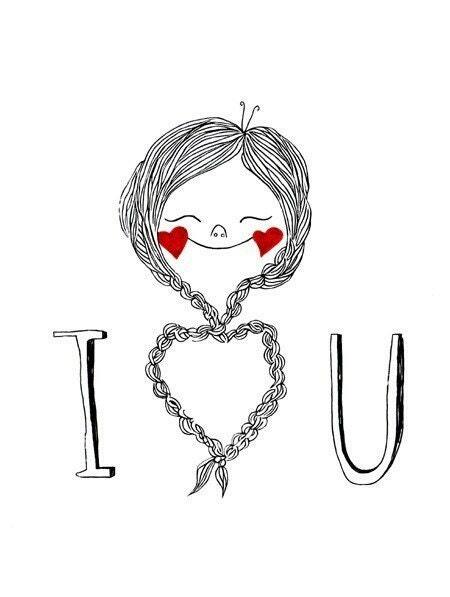 I heart most everything that Heidi Burton does, so her I Heart You print is no exception. 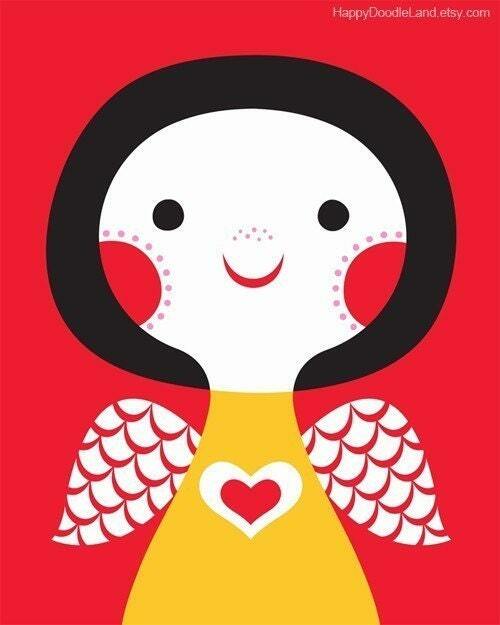 Love is in the Air by Rosy Designs Online is pretty dang adorable. 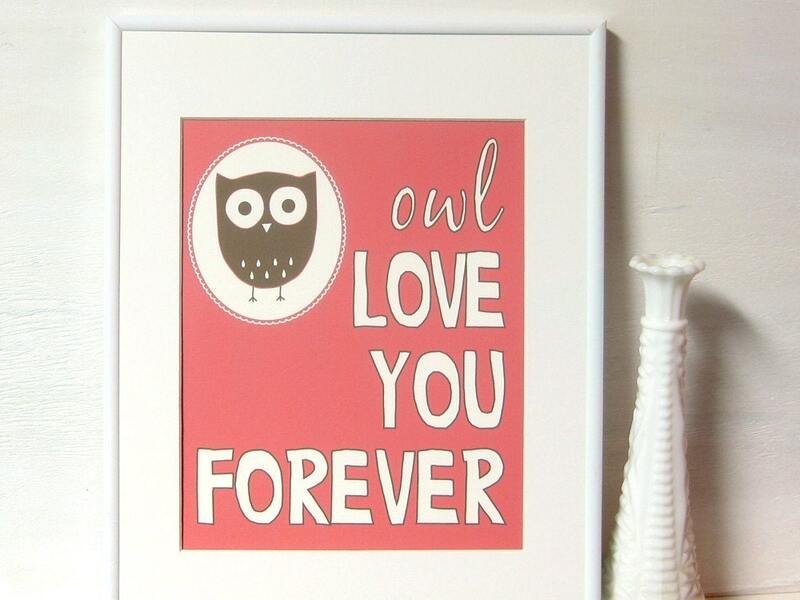 Puns, cute owls, milk glass all of these things make my heart go pitter patter and my walls yearn for the Owl Love You Forever by Oh Louise Designs. 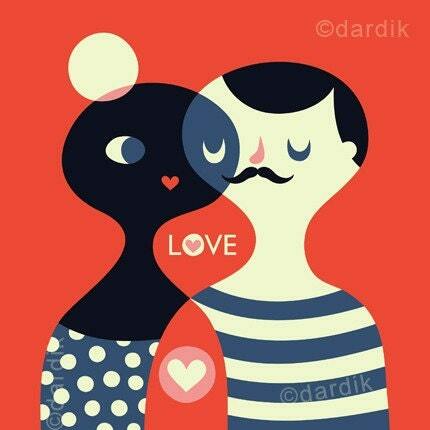 Love would not be my first print by Helen Dardik, nor my last. Her ABC Print is hanging in the nursery of baby numero dos waiting for his or her eminent arrival. 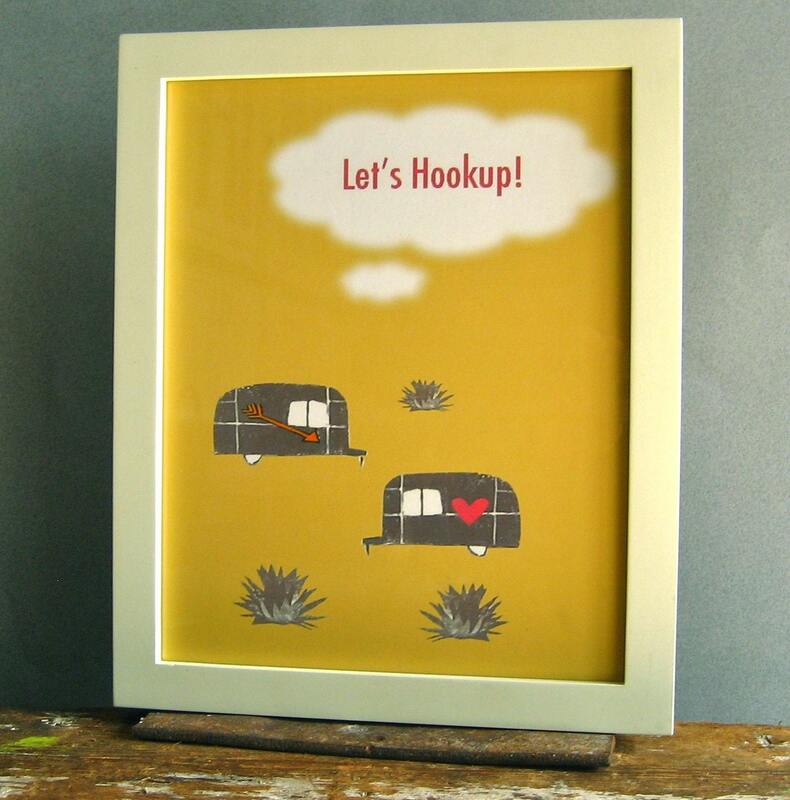 My husband and I honeymooned at a trailer park in Arizona so I have a real soft spot for this Let’s Hook Up print by Red Tile Studio. Meet me back here same place, same time, next week for part 2 of my quest for the perfect Valentines Day art prints. 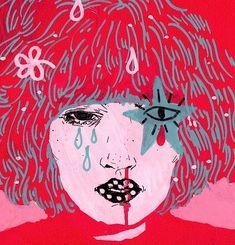 Posted February 1, 2011 & filed under Art, Valentine's Day. Great! 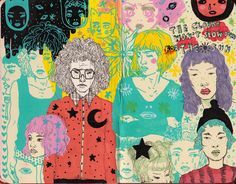 assortment of prints. Perhaps I will decorate for Valentine's Day this year afterall. Thanks for the links. Thanks Heather glad you like the selections. I'm pretty smitten on several of them too. Is there anything you don't take to the next level? I can't wait to see the results of this latest endeavor. Thank you Jen for including our Airstreams in your Valentine's list! Very much appreciated! Thank you for the mention 🙂 I don't particularly like licorice either but love the way it looks! Erin, I do like to go overkill with holiday decorating. I must admit I never purchased any Valentine Prints, but there is always next year. Amber luv your print and always happy to blog about a fellow Texan. Erin if there was ever licorice that looked good enough to eat it would be yours. 10 days to go and suddenly I feel like decorating for Valentine's Day! 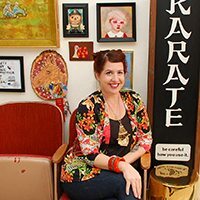 Loving your blog. Stopping in due to a suggestion from Sunday Afternoon Housewife. Will be subscribing.